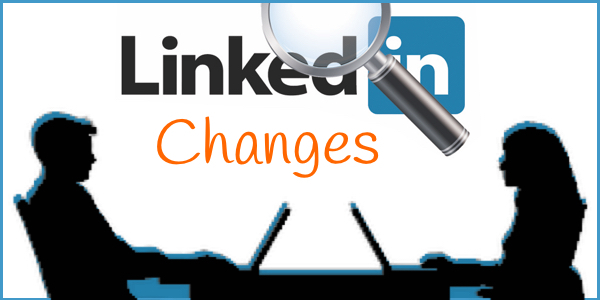 LinkedIn Changes – What’s New, What's Changed, What’s Missing. Do you love or loathe LinkedIn's re-vamped desktop layout? 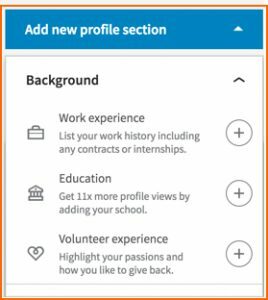 Well I love the LinkedIn changes from a visual and user experience viewpoint, other parts I am not so sure particularly the changes to articles. However, LinkedIn’s new desktop re-design is cleaner and more intuitive. It feels easier, faster and is a lot more friendly interface than before. That is, of course, once you learn where everything is! Below is a summary of the main changes. split into four main categories, here you can now find all the LinkedIn features that you normally use and some you should be using. The Navigation contains a new ‘Me’ icon [B] along with 6 other navigations to Home (Your News Feed), My Network, Jobs, Messaging, Notifications, and the Search bar. What used to be your Profile is now the ‘Me’ section the dropdown allows you to view and edit your profile. Adjust privacy and settings, access the help centre and change the language of your profile. Also manage any job postings and your company page. A simple click of the ‘Work’ icon reveals how you can now easily find and launch into other experiences that matter to you. Your LinkedIn Groups are here. Lookup LinkedIn learning, LinkedIn purchased the online learning company Lynda back in 2015 so there are a mammoth amount of Courses here. You can Advertise directly from here. 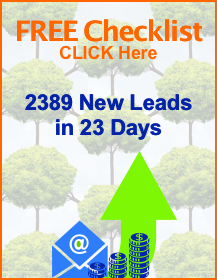 Check your Slideshares or discover other people’s you can search here to find exactly what you want. Posting a Job quick link from here. Then at the bottom is LinkedIn’s links to their other professional and paid services. You will need to click on “Who’s viewed your profile” to see the actual contact. 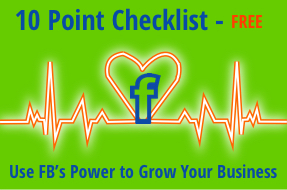 This makes seeing who has liked and commented on your posts and articles so much clearer and makes for much easier engagement. Remember to reply to comments and connect with people that like your ‘stuff’! Be aware that only part of the height, that is the depth of the banner is used on the desktop so adding logos and words needs thought and careful positioning. The width is used in totality. All the image is used for mobile devices (iphone, ipad definitely) but due to the size any lettering is hard to read. Check your profile on different devices. Your summary, as it was, which we always re-iterated to our clients was so vitally important is only accessed now by the contact clicking ‘see more’, under your heading. It is no longer the top section of your profile and only two lines show in the normal view. Pro Tip – It is essential to ensure that the first two lines that show under your image say, who you are – what you do. Check to see what yours says and alter if needed. Think keywords here. This is an area you can change and update regularly. Once you are on your own profile in the Right Hand Column you will see this box, making the process of adding to your profile or editing it more simplified. Click on the Add new profile section and the dropdown shows you different sections that you can add further information to. You may already have completed some of these sections but wish to add more. This is a shortcut route. Now go to Achievements under Add new profile section. LinkedIn had removed this section but have thankfully restored it. Pro Tip – Remember to use Projects to highlight specific and important areas of your business or resume. You will notice the layout for the skills and endorsements section is completely new. When you edit your skills and endorsements section you are still able to re-arrange the order, allowing you to choose which are your Top 3 skills to be displayed. Pro Tip – – Remember you are allowed 50 skills, so if you can use them. Contacts and employers search for relevant skills so if you list all, it makes it easier to be found. Interesting List! 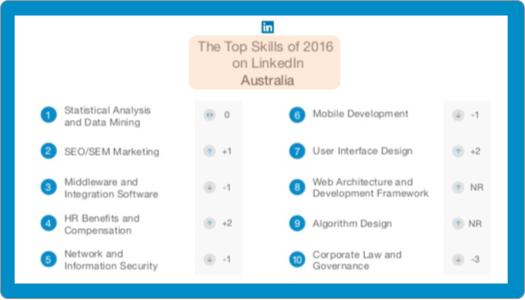 – This is LinkedIn’s Top Skills for 2016 that Employers searched for in Australia. Pro Tip – If you have any of these top skills make sure to add them to your profile in one of the top 3 positions. 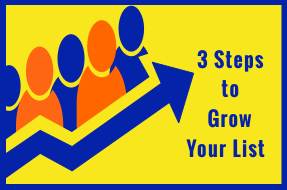 The skill that you wished to be found for should be in #1 position. Your contact and additional Information is now found in the right hand column. It can be edited from here. Pro Tip – Make sure you have have as much information in this section as possible. 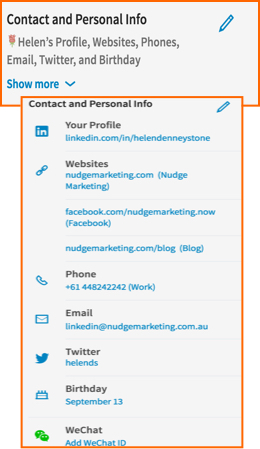 Adding your main contact info to your summary at the top – gets attention . How You Rank feature which showed metrics based on your profile views among your connections, your company, and professionals like you, has been removed. And there is no historical data regarding this feature. You can still find other analytics available, on your profile, for instance Who's Viewed Your Profile. This section has been removed which is one that I feel was important as this is where you would always put your full contact information. 3. Ability to Alter Order. You used to be able to change the order of your sections, this feature had been removed so make the best of all the sections in the order they are. You used to be able to export your connections to a .csv, this feature is no longer available. The ability to tag and add information such as when and where you met has been removed. We have always encouraged clients to add tagging and notes to make the sorting of the LinkedIn database easier. I had my system set up so that I could sort where they were from, what level of connection they were, what industry plus my special VIP list and notes. You no longer can add any tagging to your contacts and not even notes! I personally have found this App easy to use and it puts a field on every contact where I can tag and give them notes. Search can then be based on any Tag you have created. LinkedIn no longer notifies you under notifications when someone has shared your post, this is a notable removal and one I hope they re-instate. Notifications now has its own icon on the top navigation bar and its own page a great deal more real estate than the previous pop up. The ability to search has vastly changed. The Advanced Search option has gone from the top navigation bar. You now access search from the magnifying glass icon in the top navigation bar. When you enter search a lot of the advanced features have disappeared, this I feel, is a real shame. Also although Boolean search is still usable the results are very different from the old interface. If you are interested in learning more about the new search here is an excellent article from Holly Fawcett of Socialtalent that explains how to use the new search. Linkedin Pulse posts are now called Articles. You may have noticed that the articles from your connections do not show up in your notifications. It seems that the articles are no longer shared with all your connections. This lessens the likelihood of your article going viral and the number of connections who will see it. The layout for the statistics on each of your articles has also changed with less information than before. To get the statistics you will need to have your article open and click on the graph with squiggly arrow. Then a simple quick breakdown of the type of audience, where they are based and how the article was found. It is much easier and clearer to connect with other people. 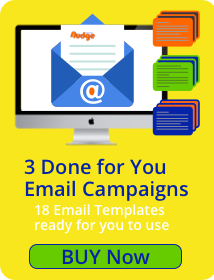 No longer do you have to state friend, colleague, someone you have worked with and where, or enter an email address. Simply click the Connect Button, below their profile image. You are then immediately prompted to write a message with your connection. Which as I am sure you know you should always do! Then push Send Now. LinkedIn has endeavoured to make this platform easier to use. Easier to connect, to interact and engage with your contacts. There is a more congruent experience now between your mobile app and the desktop which seems totally logical in an age where we spend so much time on our mobiles. However there are several changes and omissions that have altered the importance and priority of your profile and articles. As a regular LinkedIn user I would say they have achieved a good upgrade, certainly from the usability perspective. Nothing is perfect and changes never suit everyone. 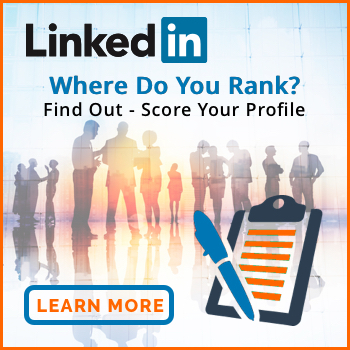 LinkedIn is the biggest professional networking platform with over 450 million users and I am sure that although Microsoft with LinkedIn will continue to make changes one thing that is certain they will not want to lose their professional social media standing. 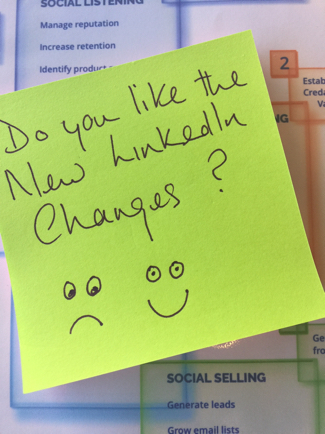 What do you think of the LinkedIn changes? Do you like LinkedIn's new layout or do you loathe it? 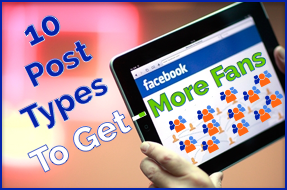 Leave a comment and let me know – Love or Loathe?